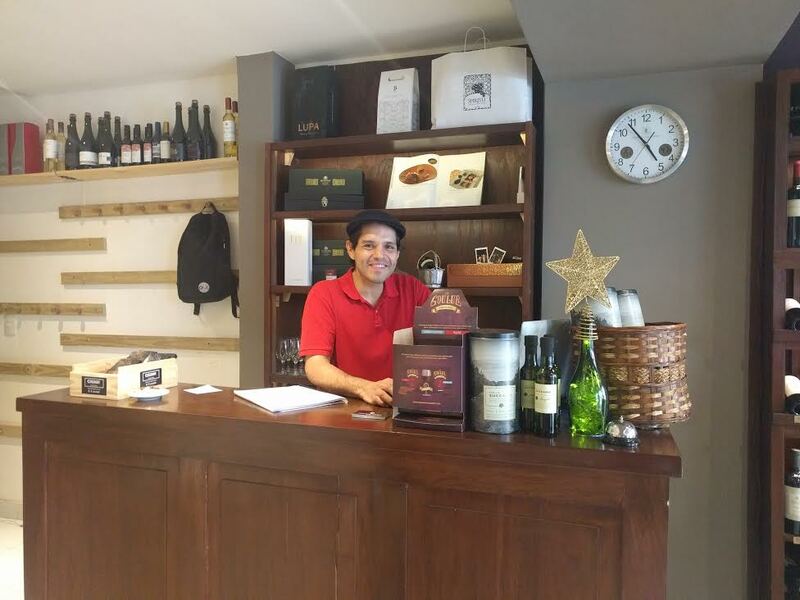 How I made Vinosfera Wine Gallery in Buenos Aires my go-to co-working space. It’s not that I’m an alcoholic; it’s just that the coffee in Buenos Aires is appalling. Usually, as most digital nomads do, I work from coffeeshops. It’s a much smaller commitment than finding a proper co-working space and I don’t have to leave my laptop in order to be served food or coffee. Apart from the sometimes uncomfortable chairs, it’s perfect. Except in Buenos Aires. 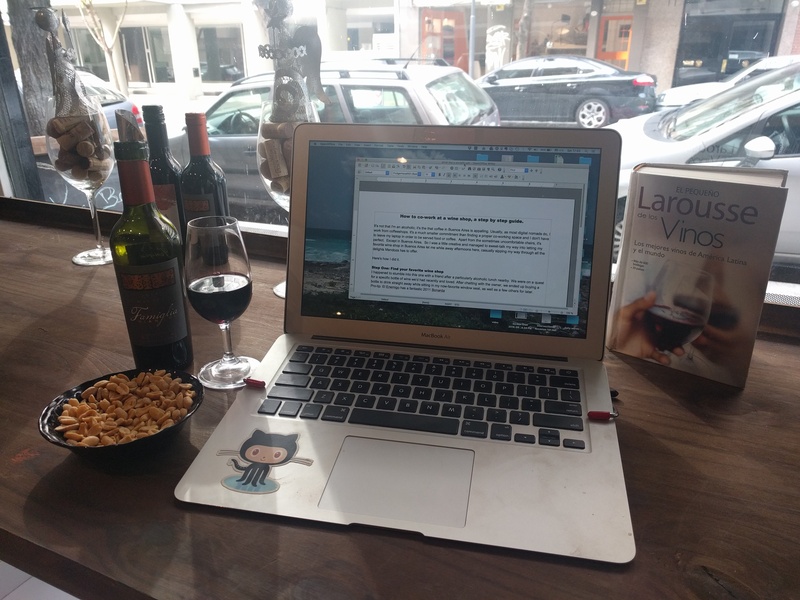 So I was a little creative and managed to sweet-talk my way into letting my favorite wine shop in Buenos Aires let me while away afternoons here, casually sipping my way through all the delights Mendoza has to offer. I happened to stumble into this one with a friend after a particularly alcoholic lunch nearby. We were on a quest for a specific bottle of wine we’d had recently and loved. After chatting with the owner, we ended up buying a bottle to drink straight away while sitting in my now-favorite window seat, as well as a few others for later. Attending an inexpensive wine tasting of some of the best wines I’ve had so far in Buenos Aires was no hardship. Deciding to claim my small discount towards one of the bottles that night was even easier. Promptly signing up and paying for the following weeks wine tasting is also a good call. Don’t forget to chat with the staff about wine and how excited you are to keep trying all the great ones Argentina produces. All the above steps show the wine shop owners that you really appreciate their shop and are a good customer. Step Three: When you pass by the wine store on your daily errands, be sure to pop in and say hello! If you want to take another bottle home with you when you pop in, it’s not a bad idea. Discuss the possibility of organizing a wine tasting with your friends once they finally make it down to Buenos Aires with the owners. Get prices and other relevant information. Discuss said information with friends. Get everyone really excited. The more business you’re bringing them, the more the wine shop owners will feel warm and fuzzy towards you. Pro-tip: D. V. Catena vineyard’s 2013 Malbec is fantastic. By now, you’ve befriended the owner and he’s probably happy to let you hang out for a little bit, working while he works. You’ve proven yourself interested in wine and willing to spend money. It doesn’t hurt to have you sitting in the window, happily sipping away and making the people who wander by wonder why this wine shop is so special that you’re happy to be there so long with your laptop. If you’re lucky, you might even be served peanuts. Pro-tip: the small bottle of Bianchi Famiglia 2011 Malbec is perfect if you don’t want to carry the rest of your bottle home. So now you know where I’ve been working from while in Buenos Aires this winter. You’re welcome to follow my genius plan at a wine shop here, or, since I’m pretty damn generous, you can just go to mine. 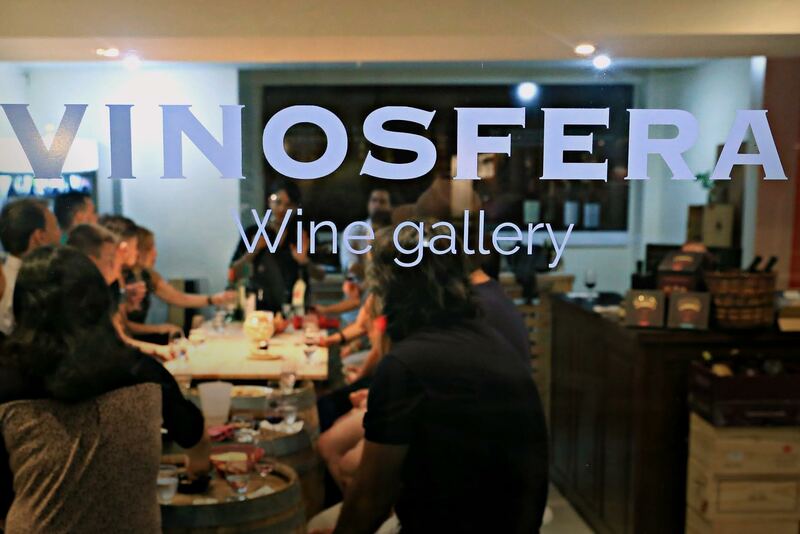 It’s Vinosfera Wine Gallery in Palermo Soho and I cannot recommend it highly enough. Not only is the wine delicious, but it’s also affordable, especially given that you can hang out here and drink it. The owners are lovely and the view out the window is great. The seats and the internet are no worse than at any of the cafes I tried and oh yea, there are peanuts. 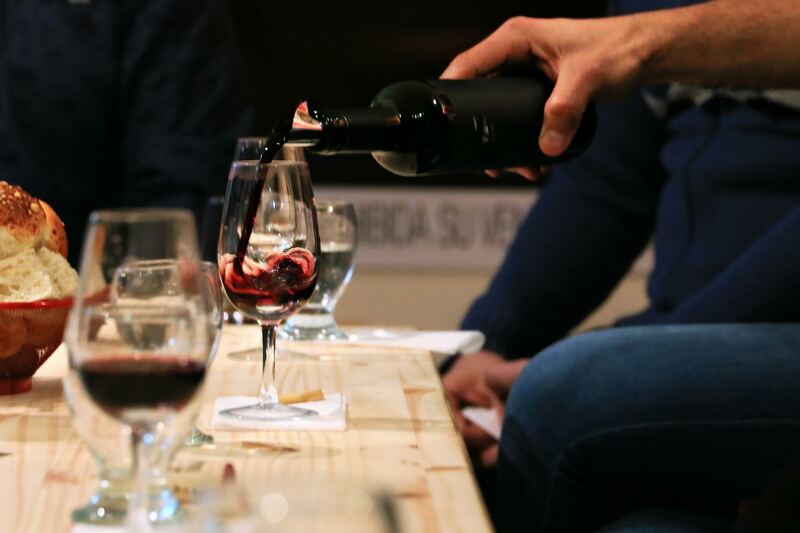 If you’re in Buenos Aires, make your way to Palermo Soho and check it out, whether it’s to pick up a bottle of wine or treat yourself to a proper wine tasting. You can thank me via twitter. R.I.P., Morbid Anatomy Museum. I’ll Miss You.